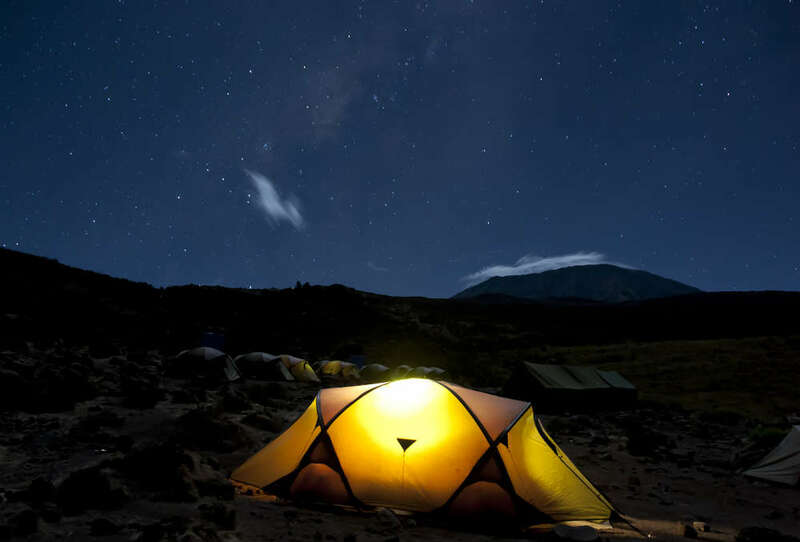 *Accommodation while trekking is both camping and in hut facilities. 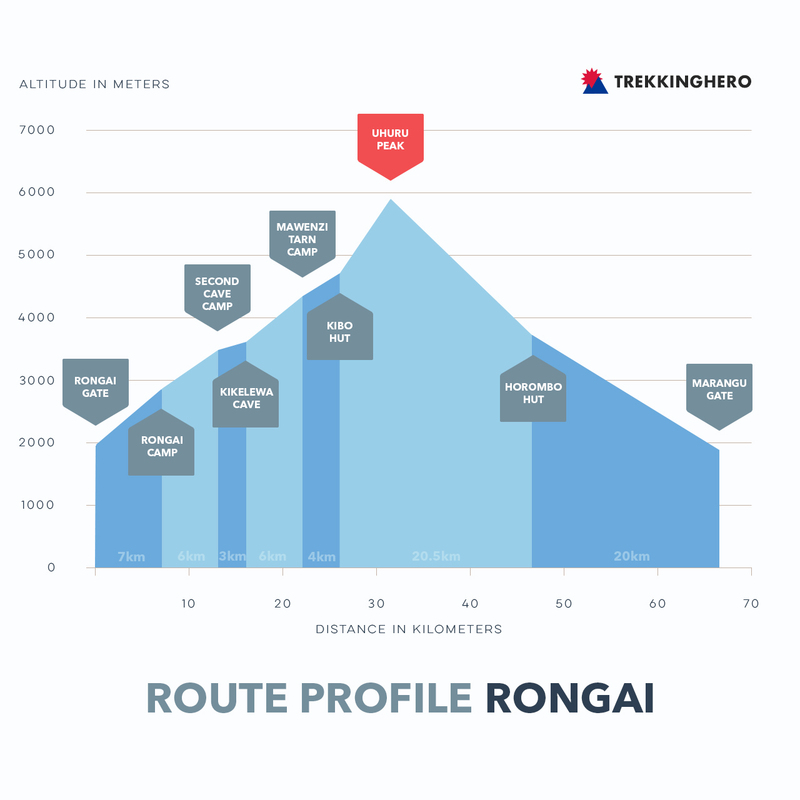 The Rongai Route is the only approach on the north side of the mountain and makes almost a complete north to south traverse of Kilimanjaro. 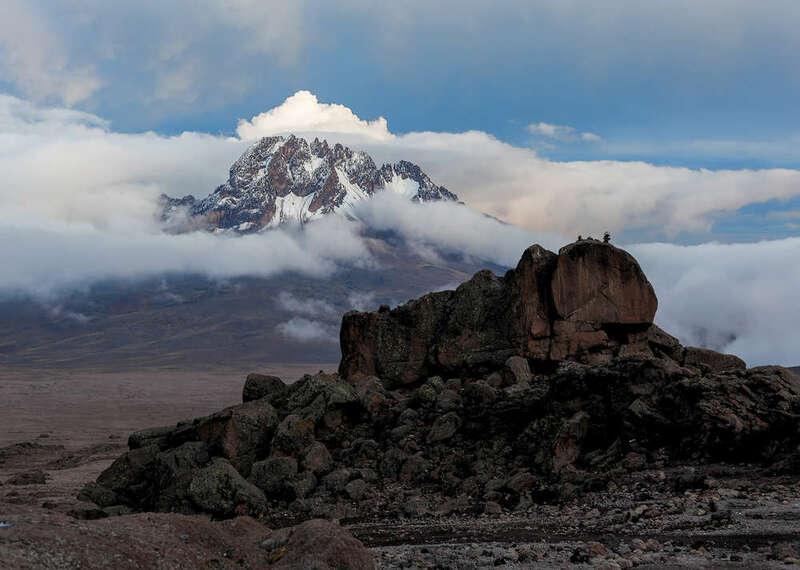 The route offers plenty of time for acclimatization and climbers enjoy a true wilderness experience during the ascent up the seldom visited northern side of the mountain. It’s also a popular approach during the rainy season as the north side of the mountain is the driest. The first day of the trek brings you through from Rongai gate through the lowland jungles to Rongai Camp. 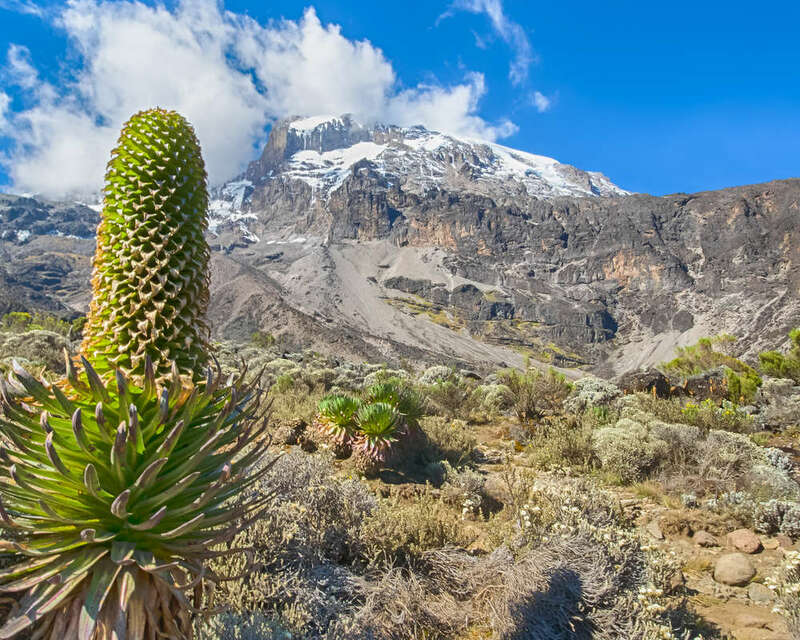 The next few days are good for acclimatization as you gradually climb through the open slopes of the mooreland all the while enjoy excellent views of Kibo and the still distant Eastern Ice Fields on the crater rim. 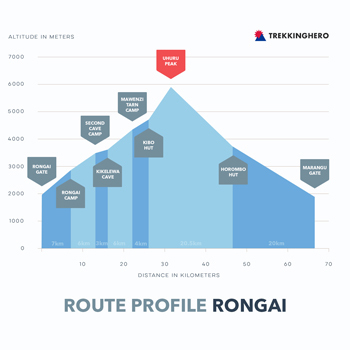 The Rongai Route meets up with the Marangu Route just before Kibo Hut and then continues along the same route to the summit and on the return back down the mountain which means you don't have to backtrack over the same terrain and get to experience the south side of the mountain. 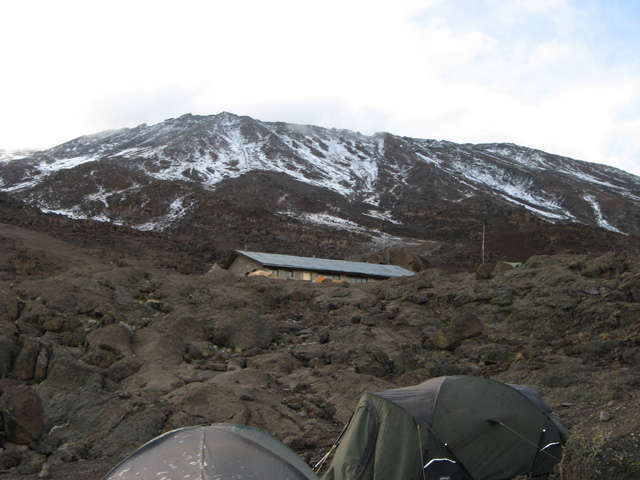 You reach Kibo Hut early on the 5th day of trekking and have the afternoon to rest before making the final summit push at midnight. It's a 6 hour slog to the crater rim and another hour of traversing across the rim of the crater to reach Uhuru Peak the final summit and highest point in Africa. After an early breakfast in Moshi your climbing team will drive to the Rongai Gate near the Kenya border. It will take a few hours to process climbing permits at the gate before you can start the half day trek up to the first camp which is located in the transition zone between lowland forests and the Moorland ecosystem. We get an early start for what is a steady but gentle climb up the Second Cave. The open slopes offer excellent views of Kibo and the Eastern ice fields on the crater rim. It's a fairly short day and an acclimatization hike up the Third Cave can be made in the afternoon. It's another fairly short day of trekking as we gradually ascend through the beautiful open moorlands which are dominated by Giant Heathers and a wide variety of endemic grasses and wildflowers. 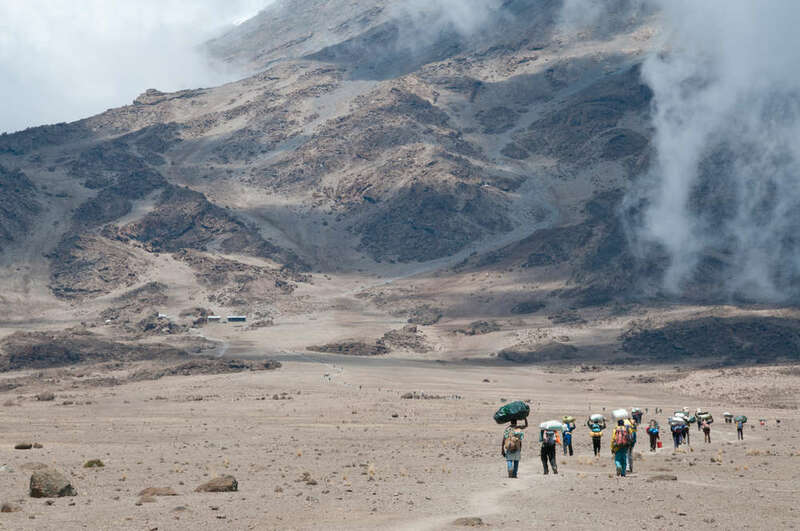 After lunch we continue towards the jagged pinnacles of Mawenzi to Kikelewa Camp where we will find our campsite set up and enjoy dinner before retiring for the day. It's a bit longer trek today which includes a short but steep ascent to Mawenzi Tarn (4330m). We exit the Mooreland vegetation zone and enter the alpine zone dominated by almost barren volcanic plains. Today we cross the lunar desert of the saddle between Mawenzi and KiboHut. 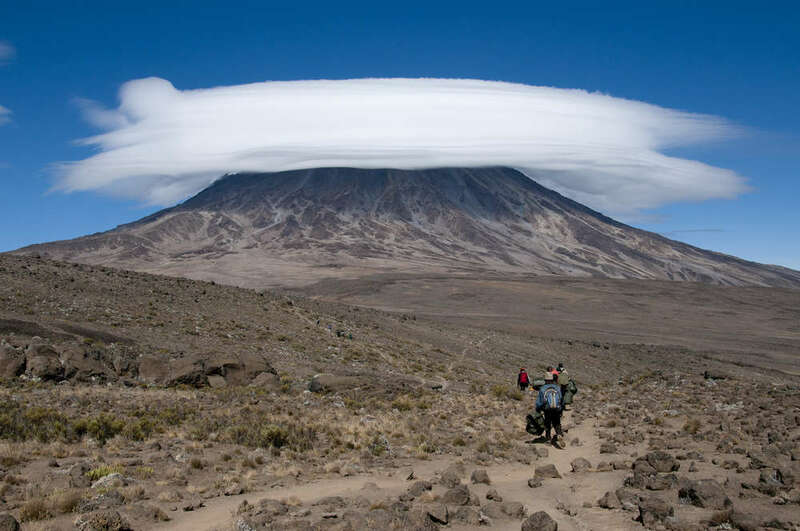 We reach Kibo Hut early in the day and spend the remainder of the day resting in preparation for the final ascent which will begin just before midnight.